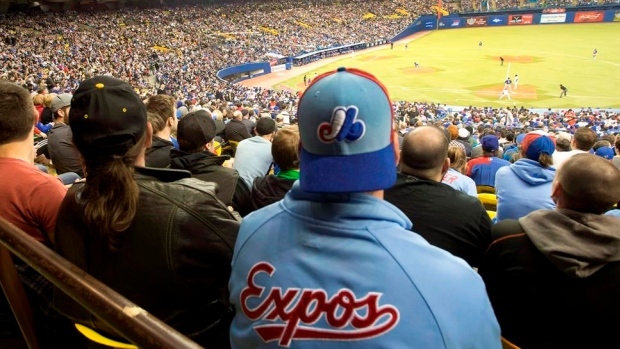 It seems to come up every year the Toronto Blue Jays play exhibition games in Montreal: Will the Expos ever return to the city? So you’re saying there’s a chance at expansion, Olney was asked. Olympic Stadium has a capacity of more than 56,000 seats but less than half were full Monday night as the Jays took on the Milwaukee Brewers in the first of a two-game series before the start of the regular season. Ever since the Expos departed for Washington and became the Nationals following the 2004 season, efforts have been ongoing to bring a team back to Montreal. Stephen Bronfman, the executive chairman of Claridge Inc., is the leader of a group of Montreal businesspeople seeking to bring back baseball to Montreal. He said Monday that he and development group Devimco are working toward securing land near downtown to potentially build a stadium in an effort to land an MLB franchise. “Don’t have to say we need to be ready,” Bronfman said Monday. “We are ready. Milwaukee took Monday’s matchup with Toronto 10-5. The Jays will open the regular season Thursday afternoon at home against the Detroit Tigers.